If it seems crazy to be thinking about paleo and vegan hot chocolate (with a sugar free/low carb adaptation!) in mid-April, you must be lucky enough not to be in an area that is still damp and chilly! But don’t worry – this recipe is actually two in one. It starts with a dry mix that keeps in your pantry for the next chilly day (and makes a great gift!). 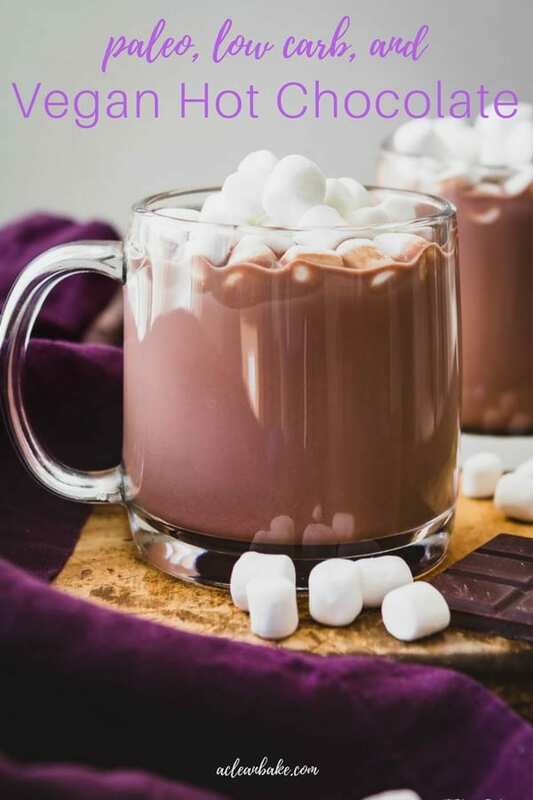 Then, just add your milk of choice to whip up warm, comforting glasses of cocoa anytime you want! Like most of the country, we woke up last week to a blanket of snow on the ground. Snow! Not drifts, but certainly not the kind of endearing sprinkle left behind by winter as it shuts the door behind it in a dramatic flourish. We’re talking a definite blanket. And then it happened again, on Monday. I rolled out of bed in the morning and opened the curtains, only to be greeted by a BLIZZARD. Ok, ok, that’s (more than) a bit of an overstatement, but that’s what it looked like when you’re expecting to see buds on the trees. This has been such a cold winter, and I’m more than ready for it to be over – so the snow was, well, let’s say not exactly the morale booster we all need right now. The only response – after a lot of perfunctory “but it’s April!!! 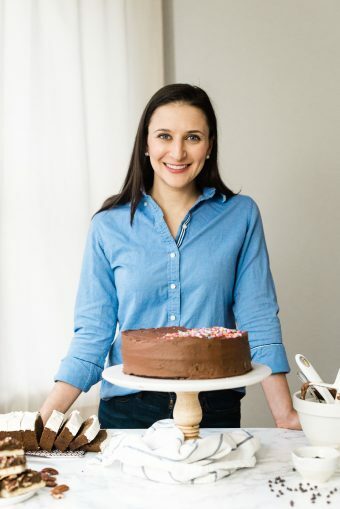 !” exclaiming and swearing (and, of course, Instagramming) – is to just lean into it and make cocoa. After a bit of an unplanned hiatus interrupted Chocolate Month, I have a boatload of new recipes recipes left over from February, including this paleo and vegan hot chocolate. It’s an especially handy recipe, no matter where you are right now. Somewhere cold? Make a cup and let it warm you from the inside out. Know someone somewhere cold? Make the mix, pack it up, and send it to that soon-to-be-very-grateful friend. Or save the recipe for the holiday gift giving bonanza at the end of the year. Is it actually, definitely spring where you live? Lucky you. But you can bookmark this recipe for the inevitable return of fall? I’m just trying to make lemonade out of very cold lemons here. 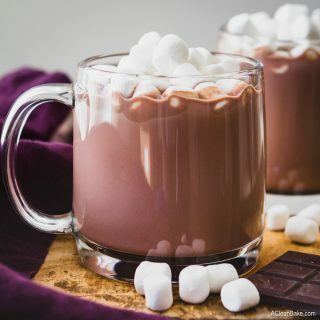 Many homemade hot chocolate recipes involve a long cook time and a lot of melting of chocolate chips, pouring maple syrup, fussing with coconut cream that has to be refrigerated for 24 hours before you can use it, etc. 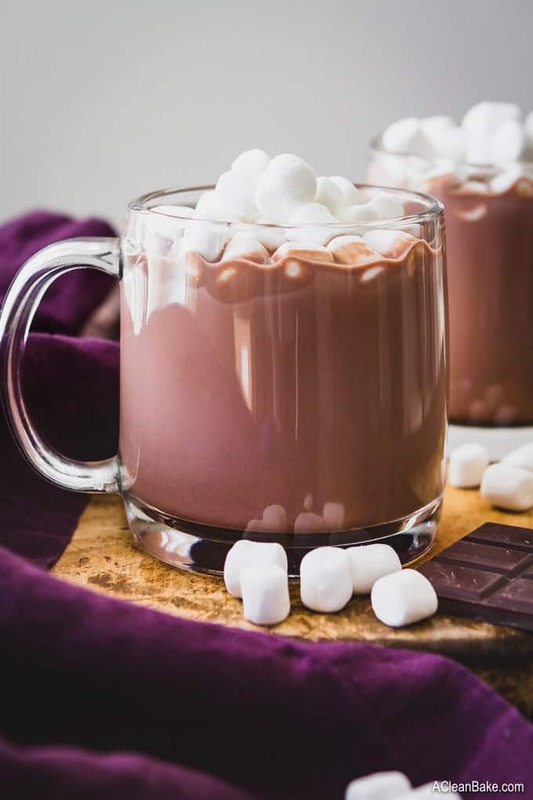 I’ll bet you’re wondering how to make a hot chocolate recipe dairy-free and vegan, especially when it’s made from dry ingredients. The secret is coconut milk powder. It’s a thing! 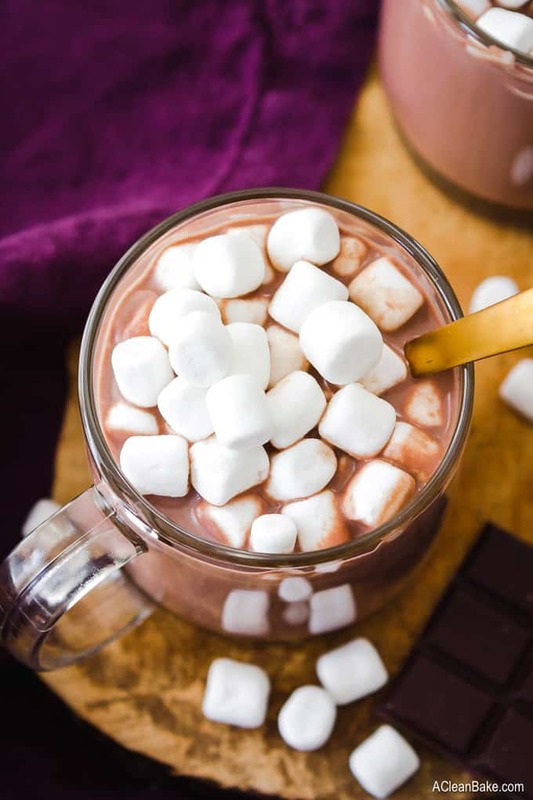 Traditional hot chocolate mix is made from a combination of unsweetened cocoa powder (or cacao powder, if you prefer) and milk powder, but coconut milk powder is a dairy-free alternative that works exactly the same way – but makes the resulting hot cocoa a bit richer and creamier. I’ll bet you already figured this out, but just in case: mix it with hot unsweetened almond milk, coconut milk, or your non-dairy milk of choice, whisk until smooth, top with dairy-free coconut whipped cream and vegan marshmallows, and sip away! Add the tiniest pinch of fine sea salt to the mix. The hot cocoa won’t taste salty; instead the salt actually helps bring out the dark chocolate flavor of the drink. For a little bit of extra richness, you can add a few drops of pure vanilla extract to your mug with the mix. For a minty twist, try adding a few drops of peppermint extract (to taste, and be careful because that stuff is strong!) to your mug with the mix. For a spicy version, add a pinch of cayenne pepper (and don’t forget to check out my Mexican Spiced Drinking Chocolate) to your mug with the mix. 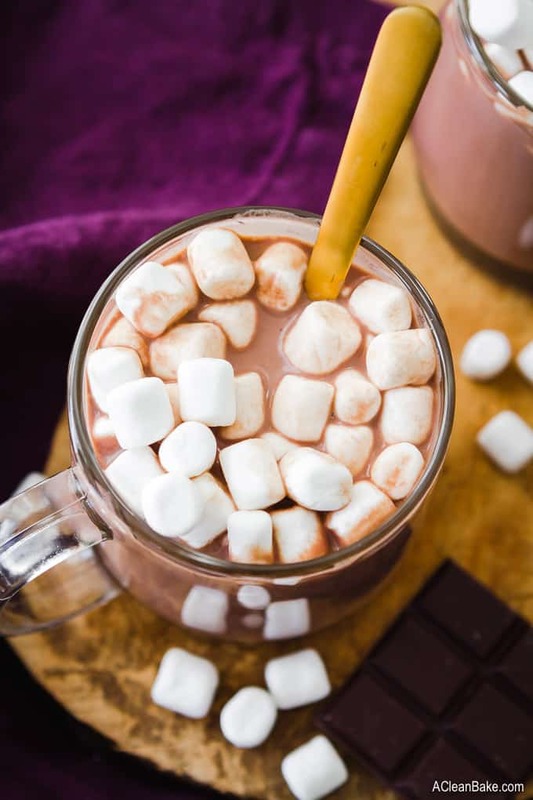 So, if winter is really going to insist on overstaying its welcome this year, a cup of cocoa will help you make the best of it! Ps: Looking for more vegan recipes? Click here! This recipe is actually two in one. It starts with a dry mix that keeps in your pantry for months (and makes a great gift!). Make the mix in advance so you can whip up warm, comforting glasses of cocoa anytime you want! Sift together the coconut milk powder, cocoa powder, and monk fruit sweetener to remove lumps. When you want to use the mix, stir 1/4 cup of mix into 3/4 cup scalded milk until dissolved. 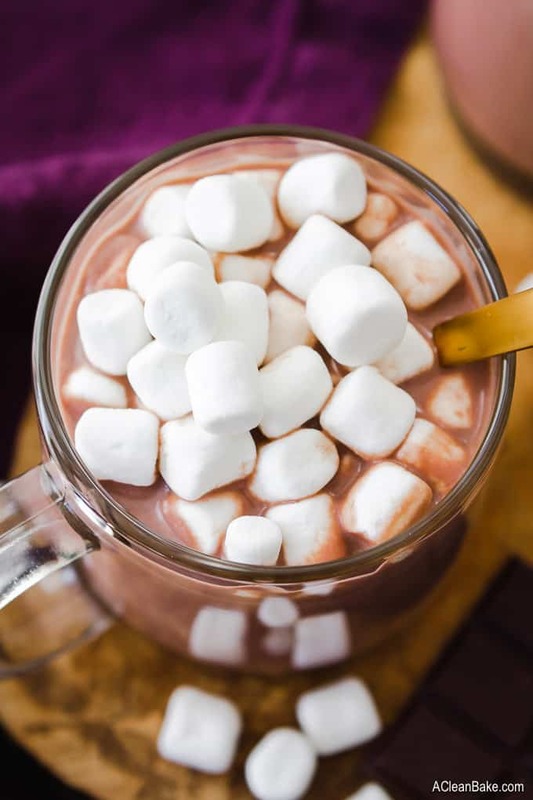 Top with marshmallows, if desired, and enjoy! As written, this recipe is low carb, sugar free, and keto. If you prefer to use sugar (rather than monk fruit), sub powdered cane sugar for the monk fruit in the recipe. You may have to use more than the recipe calls for. 3-4 Tablespoons should be sufficient. Make this nut free by subbing out the almond milk for your favorite alternative milk. Optional: add the tiniest pinch of fine sea salt to the mix. The hot cocoa won't taste salty; instead the salt actually helps bring out the dark chocolate flavor of the drink. Optional: for a little bit of extra richness, you can add a few drops of pure vanilla extract to your mug with the mix. Optional: for a minty twist, try adding a few drops of peppermint extract (to taste, and be careful because that stuff is strong!) to the mug with the mix. Optional: for a spicy version, add a pinch of cayenne pepper (and don't forget to check out my Mexican Spiced Drinking Chocolate) to your mug with the mix. Store mix in an airtight container at room temperature for up to three months. Can the monk fruit be substituted out with xylitol or stevia or similar sweetener?